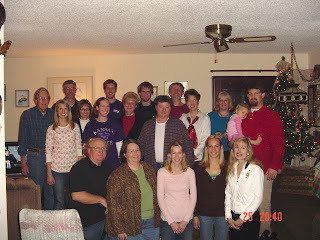 This is a pic of the whole family posing together on Christmas. 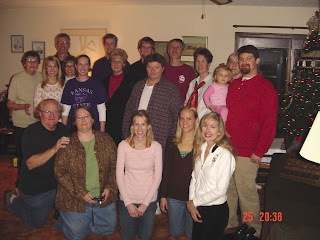 Same here, except in this one Great Grandma is in the picture. 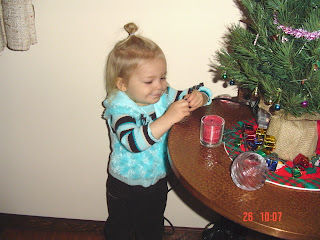 Olivia enjoyed playing with a small Christmas tree that was set up more on her level. 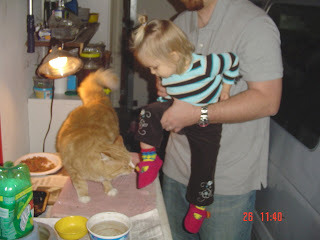 Olivia really loved Foxy, Great Grandma and Grandpa's cat. Every morning Olivia would go to the garage door where Foxy was at and ask for "Kiki". 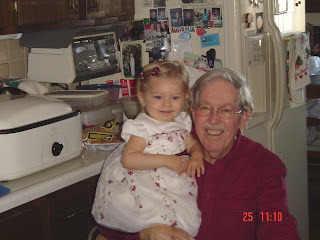 This is Great Grandpa and Olivia wearing her pretty Christmas dress.